I'm making a meme RPGMaker VXAce game similar to Toilet in Wonderland and The Youtube Poop Games focused Mostly on attention to detail, humor by running gags and inside jokes, character building & world building. The main recurring theme is memes were supposed to be funny not offend. I like the idea. However I would've recommend to post some work like engine tests and/or screenshots while you're at it. Unfortunately no one's interested if there's no concrete evidence of the project. Can Gengar be a secret character? Interesting but I would like some evidence of the project even if it's just a screenshot. This is waaaay too ambitious. I know but don't worry i will post a demo open for collabs! (01-18-2019, 08:11 PM)Honey Saucer Gengar Can Gengar be a secret character? What do you mean Gengar is a DLC character? You honestly don't need Krunch from Diddy Kong Racing, he was only in one game. How much will the Gengar DLC cost? But there is one condition..
(02-15-2019, 02:53 PM)HylianDev How much will the Gengar DLC cost? He's not gonna be in the game! I'm Looking for someone who could resize these images to RPGmaker size and make enemies animations like KAOS blades and punches and make a fixed version of down syndrome Sonic. Great moves! But just one for only 2 characters and one character for the Pokemon DLC and nothing more? I already said Gengar, oh by the way sorry if i’m talking about DLC early. 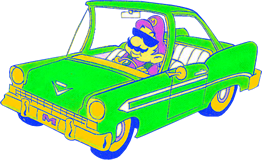 Don't give Wario the Waft please.